Přírodní preparát pro celoroční použití. 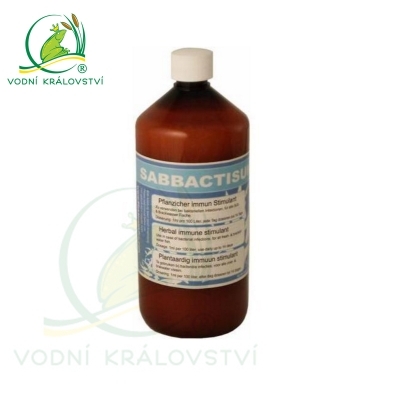 Sabbactisun is a unique herbal immune enhancing stimulant which reduces bacterial infections in fish, with symptoms such as fin and tail rot, ulcers, bulging eyes (exophthalmia), milky skin, raised scales, mouth rot/fungus and dropsy (ascites). Sabbactisun enhances the natural immune system of the fish. Pathogenic bacteria which are driven off the fish will ultimately die if they do not have a host, without the risk of becoming resistant. Sabbactisun is effective at reducing bacterial infections as well as ulcers and wounds which often occur on koi. Regular antibiotics kill the non resistant bacteria but do not heal ulcers. Sabbactisun does not only drive off the pathogenic bacteria but stimulates and accelerates regeneration of damaged tissues, even with deep ulcers, until no trace of it remains, in a surprisingly short time span. An open wound or ulcer on which the bacteria have been killed by antibiotics still remains a sensitive place for reinfection and parasites, so even after an antibiotic treatment it is important to use Sabbactisun to prevent reinfection. Sabbactisun can be used directly in any pond or aquarium, it is safe for all life in and around it. Sabbactisun also helps fish to acclimatize. A treatment with antibiotics poses several problems, for example for the water quality. Nitrifying bacteria in the biofilter are also killed so that daily water changes need to be done in order to prevent ammonia poisoning. Sabbactisun does not kill the nitrifying bacteria and do not reduce the water quality, which saves time and money. During treatment with Sabbactisun the fish can be normally fed and filtration will remain in normal operation. Those factors will add to the wellbeing and recovery of the fishes. 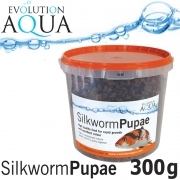 A treatment in a hospital or quarantine tank will always be more economical, but if it is difficult to catch the fish, Sabbactisun can be SAFELY used in show or breeding aquaria or ponds. - 100% natural, environment friendly, herbal products. - Sabbactisun reduces pathogenic bacteria on the fish such as Aeromonas sp., Pseudomonas sp., Cytophaga/Flavobacterium/Flexibacter sp. 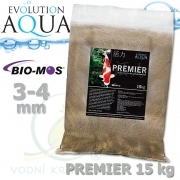 - Safe for all fresh and brackish water fish species, invertebrates and aquatic plants. 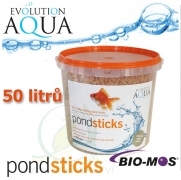 - Do not affect nitrifying (biofilter) bacteria, non toxic. - Sabbactisun is also effective against strains of bacteria that have become resistant to antibiotics. - Do not cause resistancy. 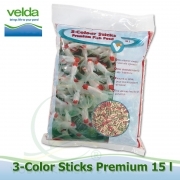 - Do not color the water or stain or affect silicone sealings. - No harmful residues: Sabbactisun is completely biodegradable.